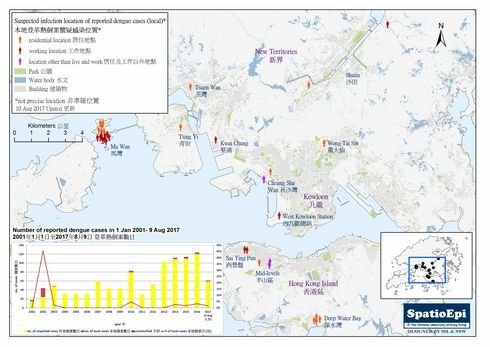 As of mid-September, more than 13,000 local dengue fever cases had been reported in Taiwan in 2015. The situation in this summer was exceptionally severe. New cases in the third quarter (week 27 to 37) contributed to 98% of all cases through September 2015. 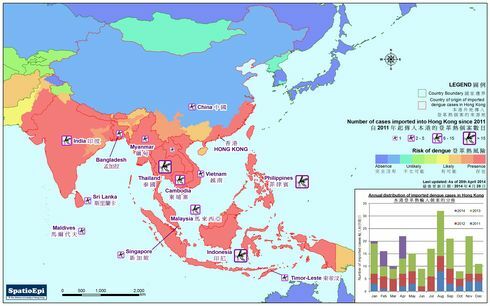 The map illustrated newly reported dengue cases by county/city in Taiwan during the said period. A heterogeneous spatial pattern of case distribution could be observed. 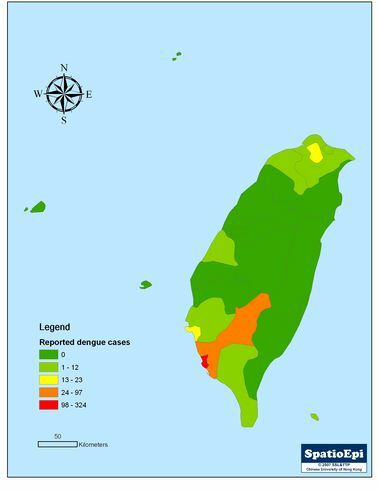 Dengue cases were highly concentrated in the southern part of Taiwan than in the north. 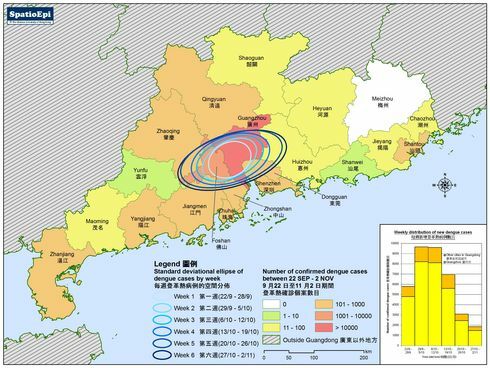 Specifically, Tainan City has reported over ten thousand confirmed cases. The line graphs next to the map delineated the local dengue incidence patterns in 3 selected cities from 2009 to mid-September of 2015. Red lines indicated the situation in the third quarter of 2015, corresponding to data used for displaying the spatial pattern on the map. 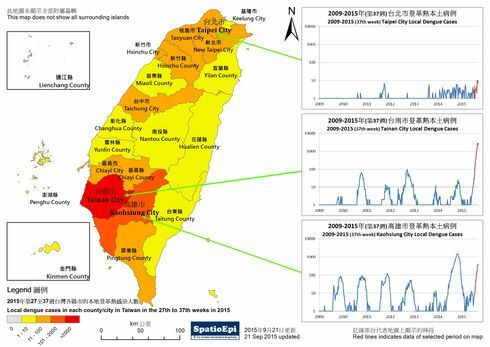 Over the years, sporadic infections have occurred in Taipei City, whereas Tainan City and Kaohsiung City were characterized by the hundreds and thousands of new cases monthly. 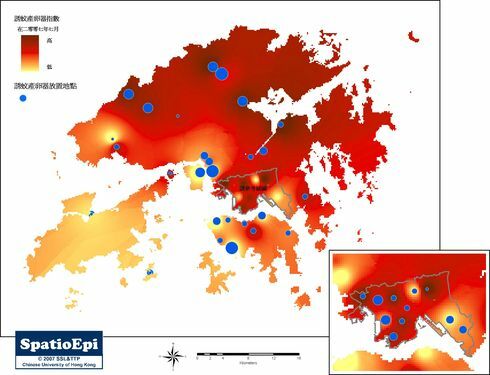 The seasonal transmission pattern of dengue virus in Southern Taiwan can be inferred: infections were commonly imported during summer, spreading widely within the community and finally faded out in winter. In the past few years, reported incidence in Kaohsiung City was higher Tainan City, yet the situation has reversed in 2015. Map data were derived from Taiwan Open Data Platform.